1.Write the letter I. 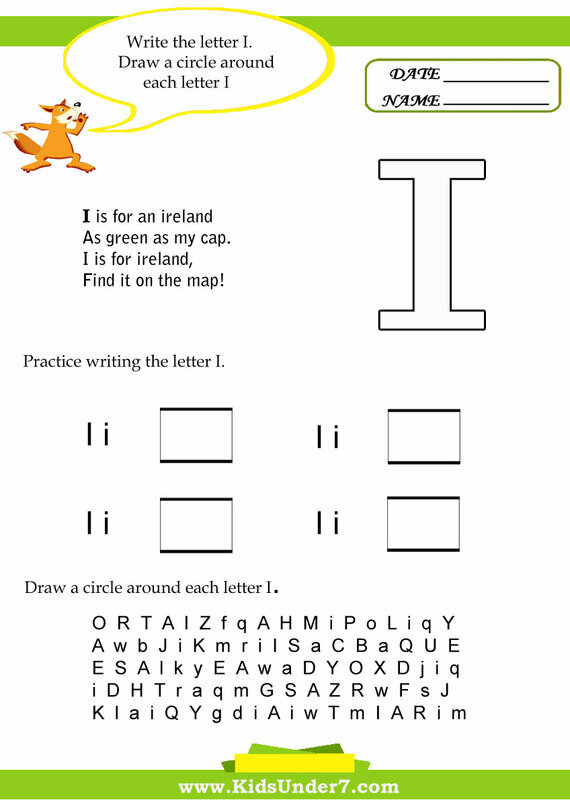 Draw a circle around each letter I. 3. 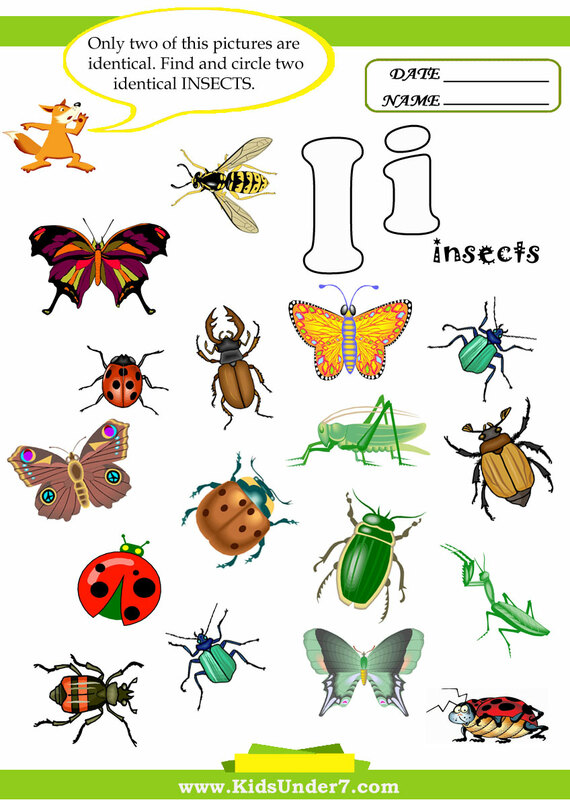 Find and circle two identical Insects. 4. 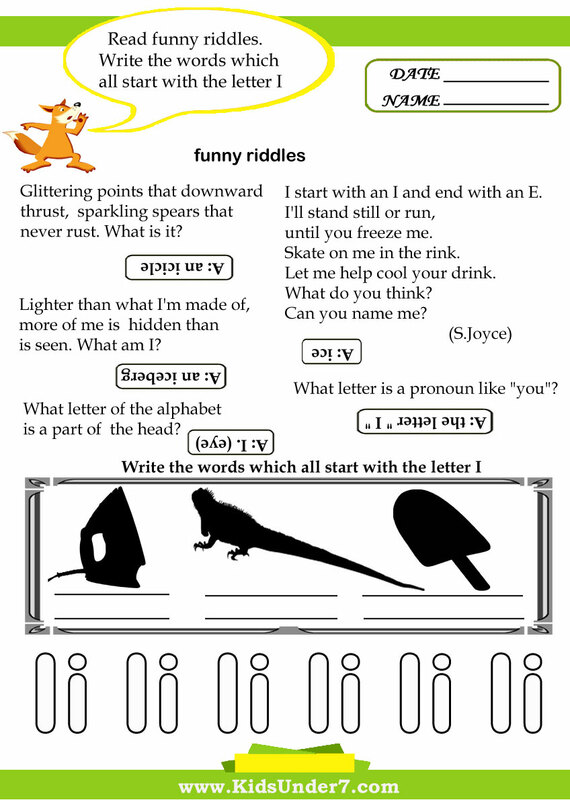 Read funny riddles. 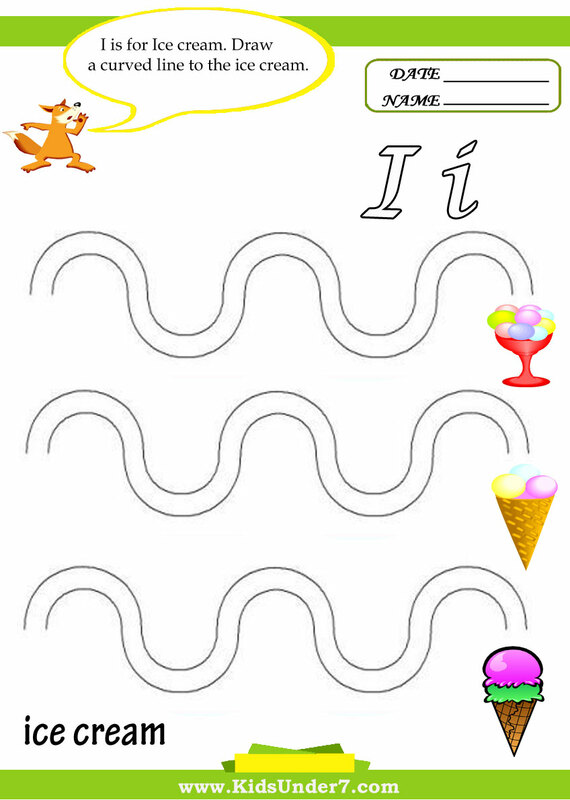 Write the words which all start with the letter I. 5. Follow the lines with your pencil. 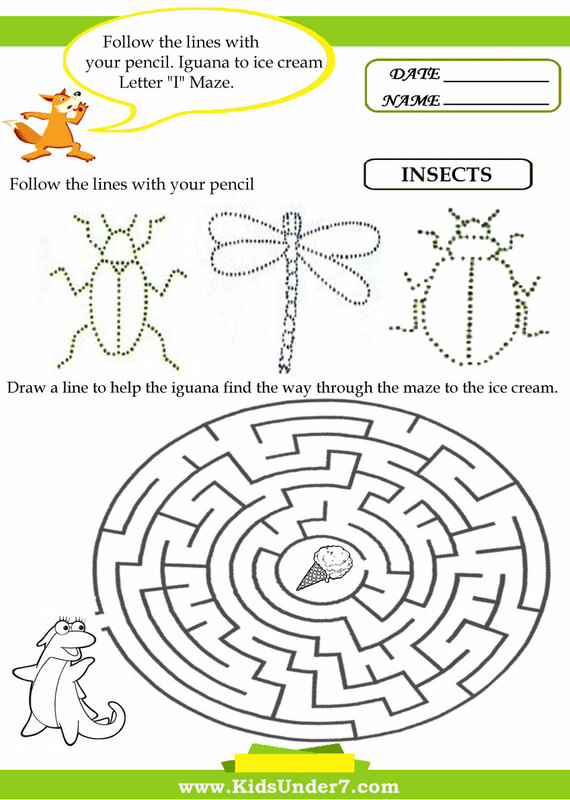 Iguana to ice cream Letter I Maze. 7. 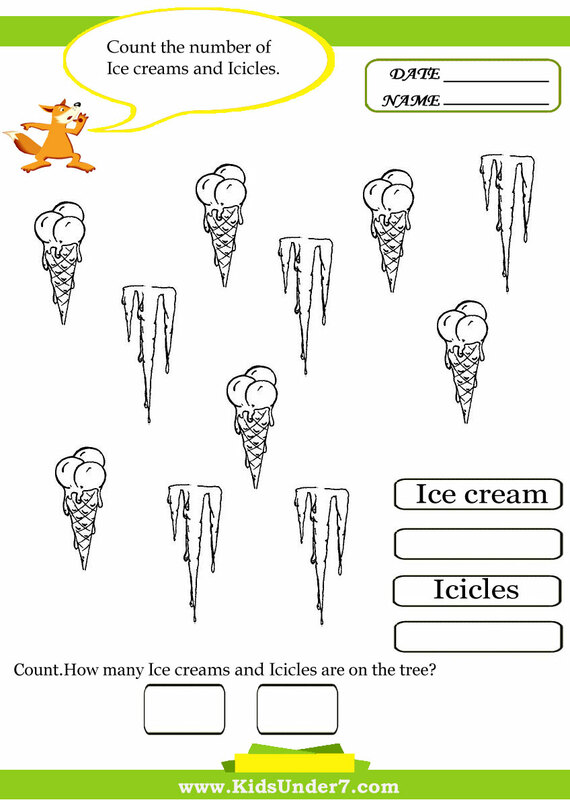 Count the number of ice creams and icicles. 9. 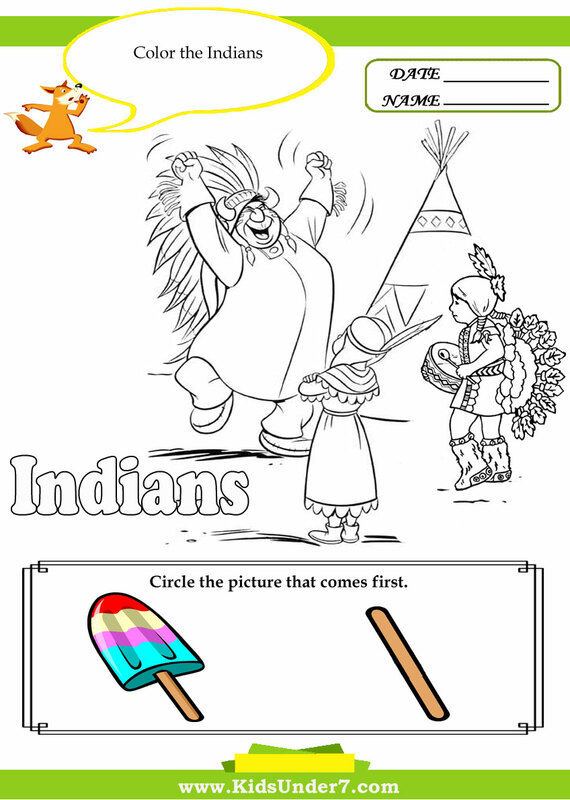 Draw a line from each word on the left to the matching word on the right side. As green as my cap. I like comics, I like hats. I like biscuits, trees and cats. I don't like spider, I don't like cheese. 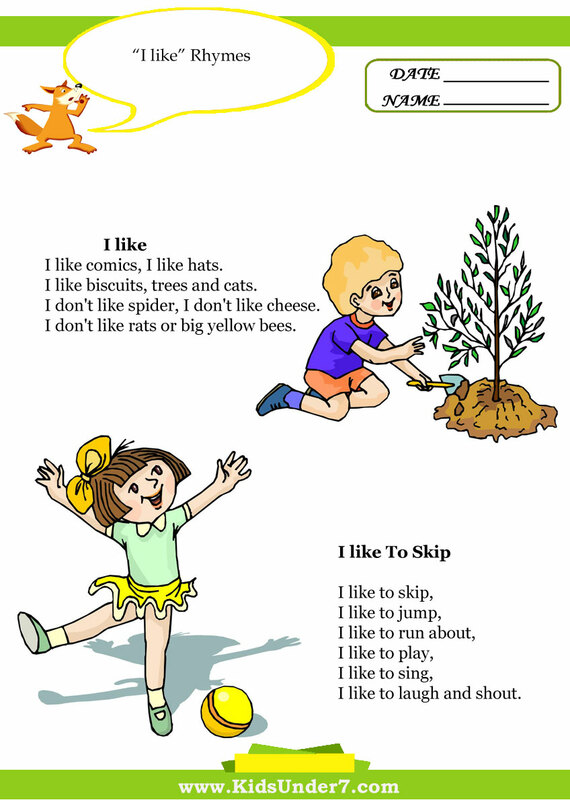 I don't like rats or big yellow bees. Glittering points that downward thrust, sparkling spears that never rust. What is it? Lighter than what I'm made of, more of me is hidden than is seen. What am I? What letter of the alphabet is a part of the head? 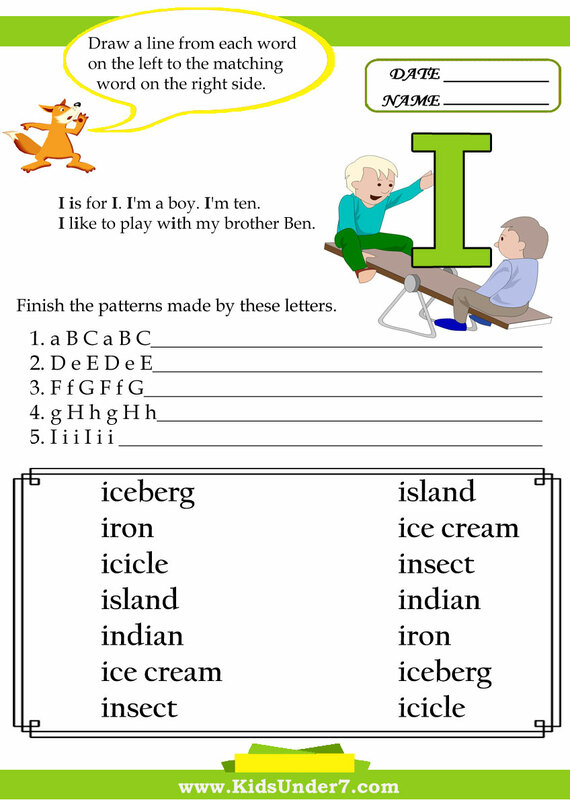 What letter is a pronoun like "you"? Answer: The letter " I "
Answer: The letter "I". It is always in the midst of noise. I start with an I and end with an E.
Skate on me in the rink. Let me help cool your drink. What do you think? Can you name me?